Books are great for inspiration and patterns and the like when you want to crochet/knit something, but now that we have the internet the possibilities are endless. You can loose yourself for hours and your to-do-list grows and grows by each click, each link, each pattern you see. If you are new to crocheting (or internet) it could feel quite overwhelming. So I have compiled some of my favourite sites of inspiration, because sometimes finding the perfect pattern that is just so can be a bit difficult. Ravelry.com My favorite site, good with knitting/crochet and you can use any search word and find anything, free and some patterns cost money. 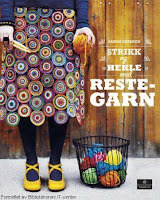 garnstudio.com I love this site too, free and easily searched, knitting and crochet. Has lots of tutorials. redheart.com I have used this site some and quite like it. Pierrot Yarn: Japanese. 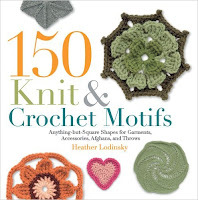 They have lots of gorgeous patterns, both knit and crochet but only charted. Sandnes mostly knitting but easily searched. Blogs are highly inspirational, whenever I find a blog I like I make sure to follow and as my list of bloggers grow I feel inspired and my to-do-list and yardstock grows too. Attic24, a nice friendly lady who crochets the most wonderful happy things, she has lots of patterns and tutorials too. Cherryheart, she crochets delicious things, I have her shawl on my to-do-list, some patters cost money and some are free. AnneMarieshaakblog Dutch, but she blogs in english too, she is great at finding books and patterns to share, she has some patterns too. Happyinred another Dutch lady I think, she also blogs in english and finds patterns to share and has some patterns and tutorials. 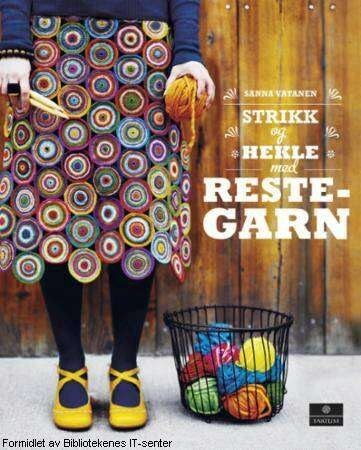 Karenklarbæksverden danish, she crochets a lot, I love her colours. Kungenomajkis swedish blog, she doesn't update as much, but she makes the most wonderful things. You could always get lost in the world of pinterest because that place is a maze but very inspirational, I have found that sometimes I search and search and never find a pin where the actual pattern is which can be frustrating, but there are so many beautiful things there. A very inspirational place indeed. Youtube also has lots of tutorials and patterns but you need to know what you want tone inspired by. So did you feel inspired? I hope so, I always like to see how people crochet things and sometimes I make the same thing, and sometimes I modify it the same way someone else has. Do you ever use Twist Collective? They have some great patterns, too.